Ryan Munevar is a registered Cannabis Lobbyist with the State of California, the Executive Director for Monterey County NORML (National Organization for the Reform of Marijuana Laws), the Communication Director for the CGA (Coastal Growers Association), the Secretary for CENTA (Cannabis Extractors National Trade Association) and the Communication Director for the CAA (Cannabis Advocates Alliance) in Santa Cruz. Ryan got his start in the Cannabis Industry back in Detroit Michigan while filming a documentary on legalization in 2010. It wasn’t long before he became a volunteer working for Repeal Today, a statewide Initiative to Legalize Cannabis in Michigan. In 2013 he returned to California and co-founded Monterey County NORML with his friend Joey Espinoza. Later in 2015 he founded the CRC (Cannabis Research Consultants) and now sets up and maintains various cannabis organizations around the state of California. In 2010 Mr. Espinoza was informed that a hydroponic gardening store opened in Salinas. 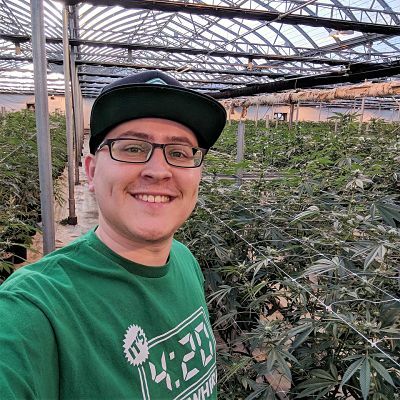 He found a passion for medical cannabis and began working at the hydroponic store where he eventually became the General Manager. There was so much experience gained by working at this store as a majority of the customers were interested in cultivating their own medical cannabis or were members of collectives for which they cultivated. Mr. Espinoza helped to create educational videos and also held in-person classes at the store to teach customers how to properly use the products and grow their plants to their maximum potential. In 2014, Mr. Espinoza became much more involved in the medical cannabis industry by beginning to manage delivery services in Monterey County and other counties. Unlike many others he would set up the entities himself, rather than use lawyers which greatly helped him gain an understanding of the local and State laws regarding medical cannabis. Everything from the articles of incorporation, seller’s permit and the tax EIN was done by Mr. Espinoza which quickly helped him understand the in’s and out’s of this industry from a legality standpoint. In the spring of 2015, Mr. Espinoza co-founded Monterey County NORML (National Organization for the Reform of Marijuana Laws) with his partner Ryan Munevar. This non-profit organization was created as a subchapter of California NORML and National NORML to help create a professional voice for the cannabis community within Monterey County. A few months later the Coastal Growers Association was formed by a group of community stakeholders, including Mr. Espinoza, who has been a board of director from it’s inception. In 2016, Mr. Espinoza was nominated and voted-in to become the President of the Coastal Growers Association; a title he still holds today. The combined experiences of being a native to Salinas, working in the hydroponic gardening sector, helping to manage legal collectives and finally running two of the most prominent cannabis associations in the County have given Mr. Espinoza a plethora of knowledge regarding the medical cannabis industry in both the City of Salinas and the State of California.